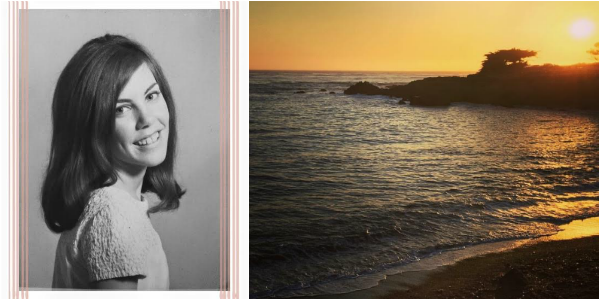 Today I am taking a break from the usual book reviews, Top Ten Tuesday lists, giveaways, and other bookish ramblings to honor and remember my mom. I've used this platform in the past to express my thoughts, my memories, and my feelings. It's sort of become a therapeutic place in some sense. Books have always touched me on a personal level, and sharing my thoughts on what I read has always been personal as well. This blog, you as readers, has become a safe haven when I need to let those feelings out. Thirteen years ago I lost my mother to cancer. It's not a battle we were fighting over a long period of time, only to see her fade out when it reached its point. It was a full fledged war that raged out of nowhere, only leaving devastation in its wake. During the summer of 2003, she was not quite herself. I was just turning 22 years old. I had no idea what the signs were for someone who was going through stage four cancer. None of us did. Not even her most personal doctors. Her diagnosis came way too late, just as summer was ending, and after numerous doctor visits. The first week in September, we learned from the oncologists at MD Anderson that Mom had stage four cancer, the untreatable, and very un-curable kind. I will never forget looking at my mother, holding her hand, as she laid in her hospital bed, learning the news that this was it. The doctor went on to tell us how best they'd make her comfortable. I will always hold with me my mother's words, "Why me? I did everything right. I took care of myself." As a child, you should never be the one comforting your mother when fear is staring down on her. I never knew my heart's capacity until that very moment. Never in my life had I ever wanted to give my every breath to someone more. Later we learned that the cancer in the lining of her vaginal walls had metastasized to her lungs, and ultimately that is what wrote her death sentence. In the days that followed, I never left her hospital room, only to recharge myself when a close family member or friend forced me to. Looking back it was such a surreal, blur of confusion. There is just no way to prepare yourself. I had twenty days, just twenty days, to watch my mother slip away into a comatose state as the cancer consumed her. I sit here, with tears in my eyes, typing this now. Recounting these memories, such solid images that will never leave my brain, no matter how difficult they truly are. It's weird how your brain chooses to remember things. Thirteen years later, I can still remember the silence on her hospital floor the night she died. I can still remember that gut-wrenching ache that clawed its way outside my stomach and up my throat, releasing in such a turmoil of tears. On this day thirteen years ago, a huge part of my soul died alongside my mother. There will never, ever, be a replacement for that type of loss. It's something I have tried my best to live with every day since. My world has become a before, and an after. You all know me in the after. This blog is part of my life, after. My love for reading only just began in the after. Becoming a teacher, and realizing this is where I was always meant to be, is also part of my after. I don't remember much of the girl before. She was so young, so naive, and so so impressionable. I do remember how much I loved my mother, how close we were. How as a little girl I constantly had to be near her, always crawling in her lap, hugging, holding on. It's as if I already knew those hugs, that physical love, would end one day. This loss will always be immeasurable. This whole in my heart will forever be hallow. I'm 35 years old now, and I haven't had my mom for the last thirteen years. But today, September 20th, I am remembering her extra hard, and trying my very best to continue in the after. Because what else choice is there? This is my pain, and it's something I will carry with me every day. It's who I am now. This summer, I took my mother's ashes with me to California and spread them in the Pacific Ocean alongside this beach. It was a beautiful place to rest her soul. Ginger, this is such a beautiful and heartbreaking post. It brought tears to my eyes. I am thinking of you.